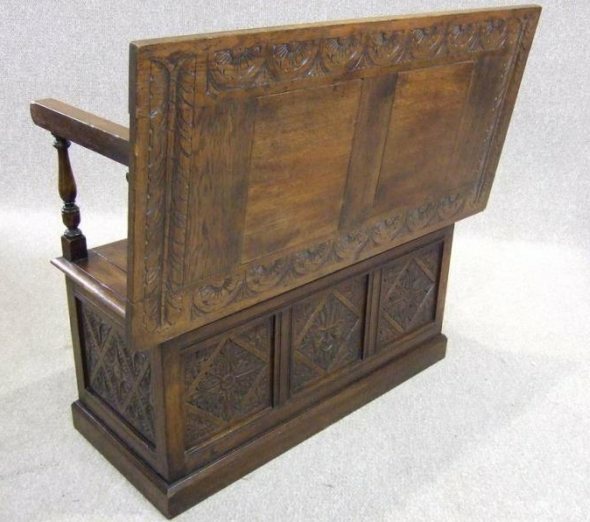 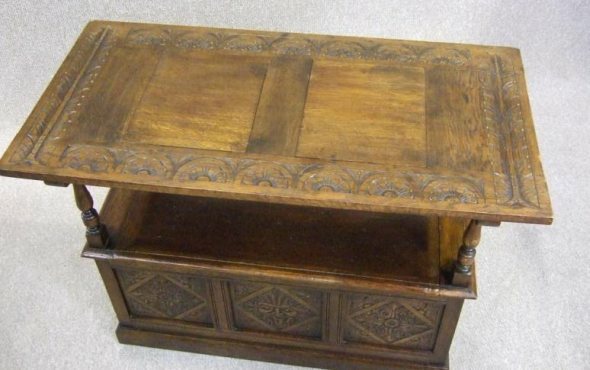 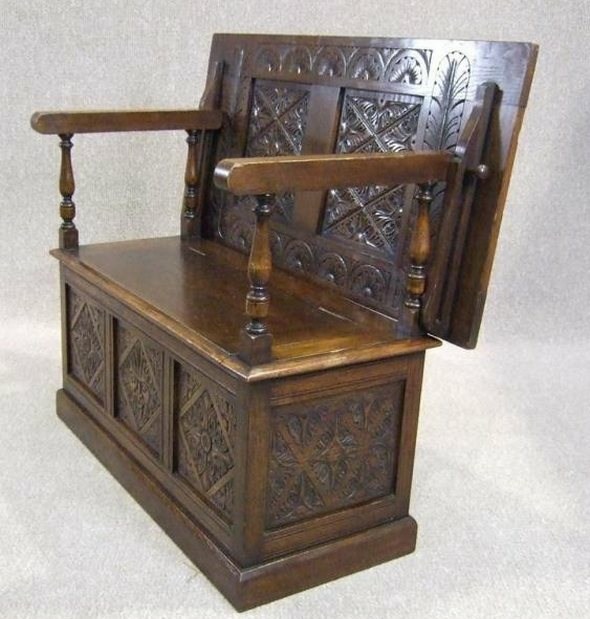 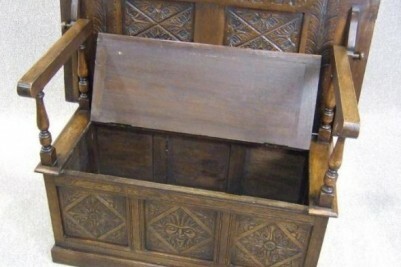 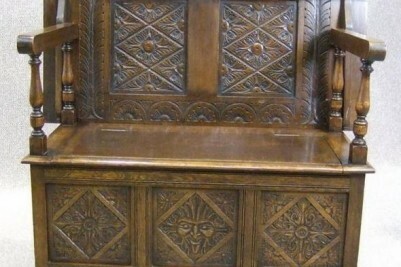 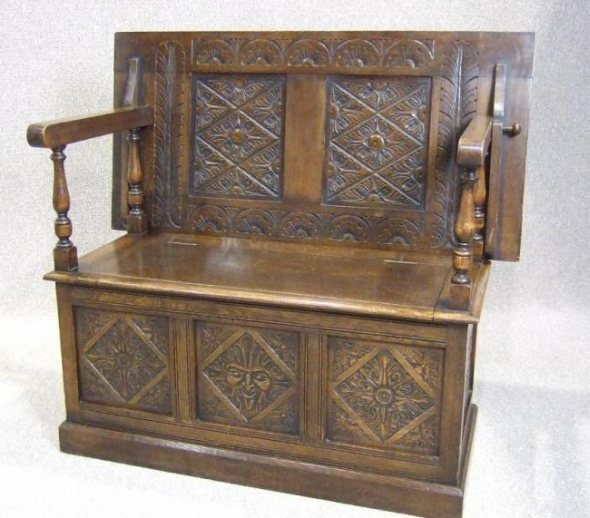 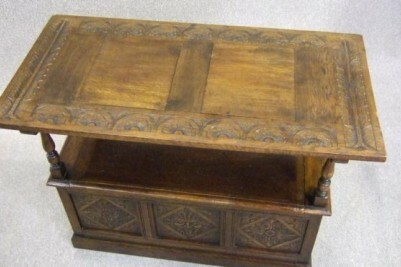 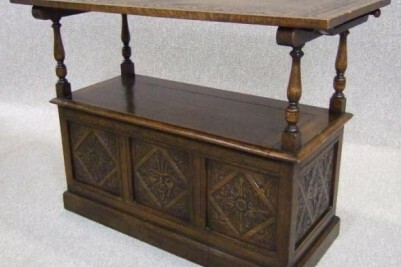 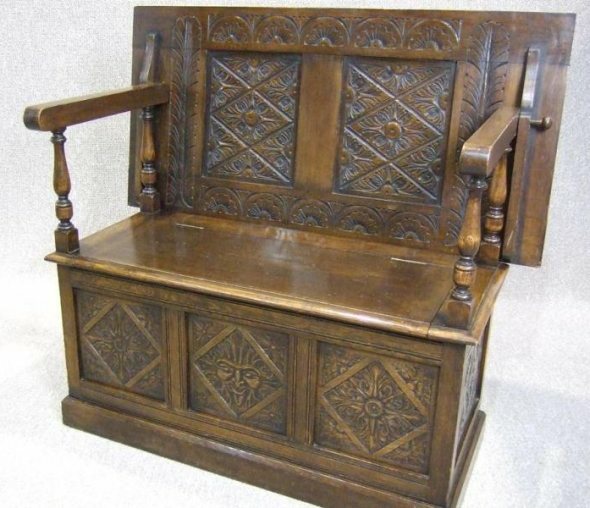 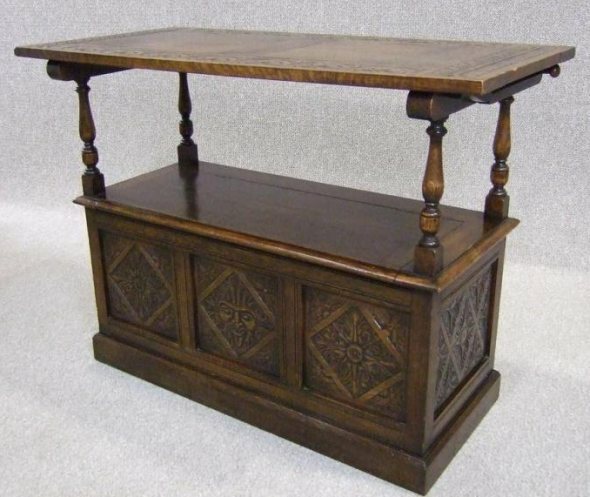 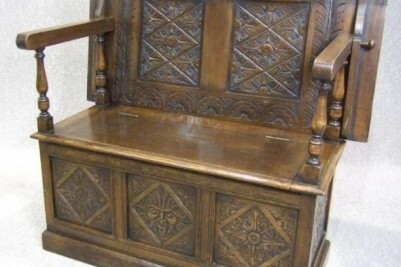 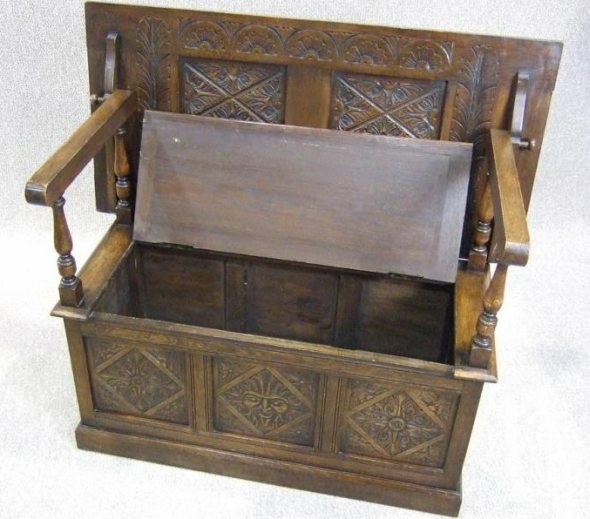 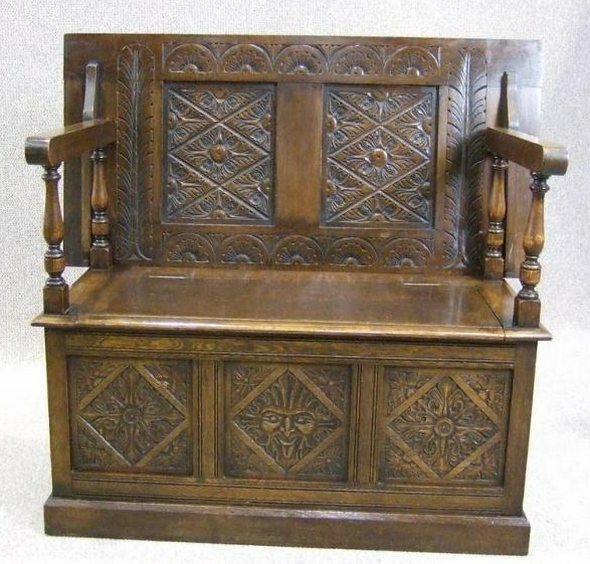 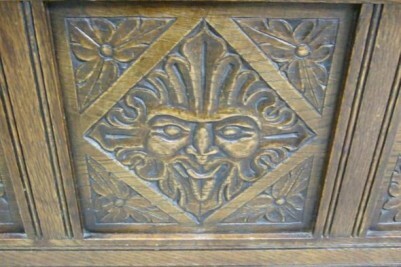 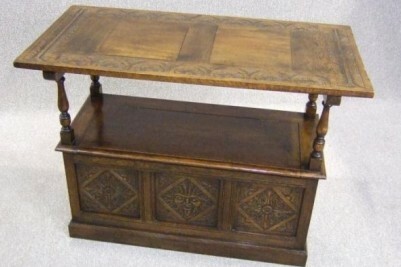 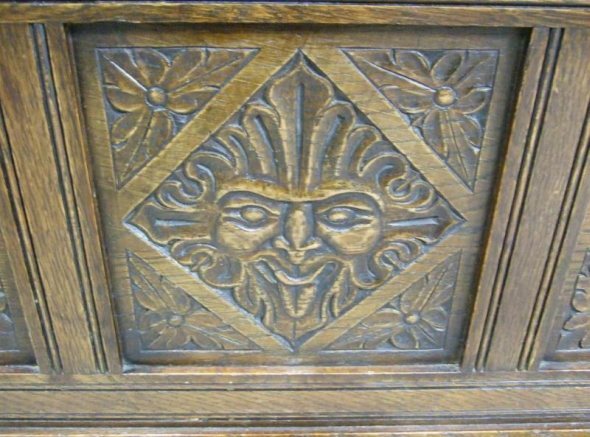 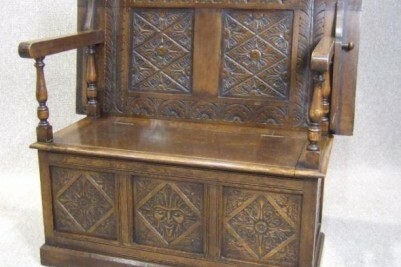 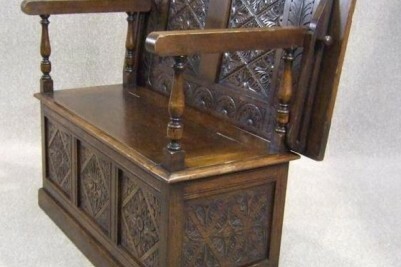 A magnificently carved, solid oak, circa 1920, Oak monks’ bench. 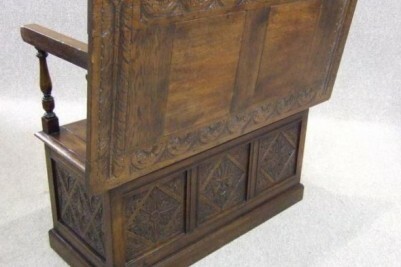 With its traditional folding back, lift up storage seat, and side arms with carved and fluted columns. 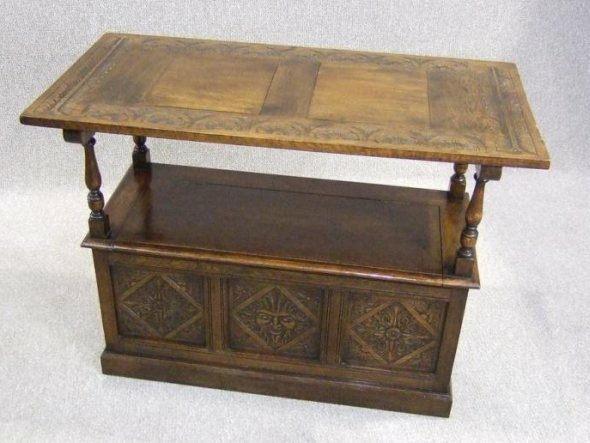 An ideal piece for any hallway or period property, giving useful storage and versatility. 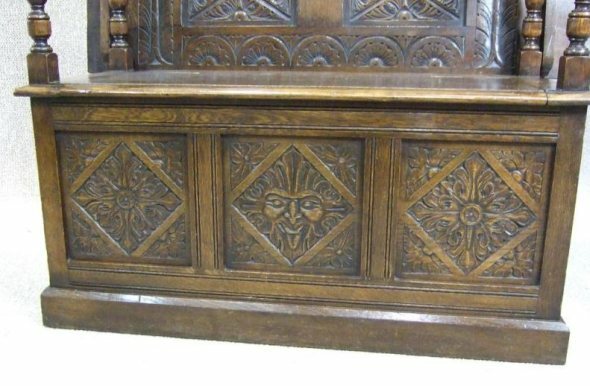 This piece is in lovely condition for its age, with just a small amount of wear and tear, and in a lovely medium oak colour.